One of the retirement income strategies that I didn't discuss in my last post is Time Segmentation (TS). 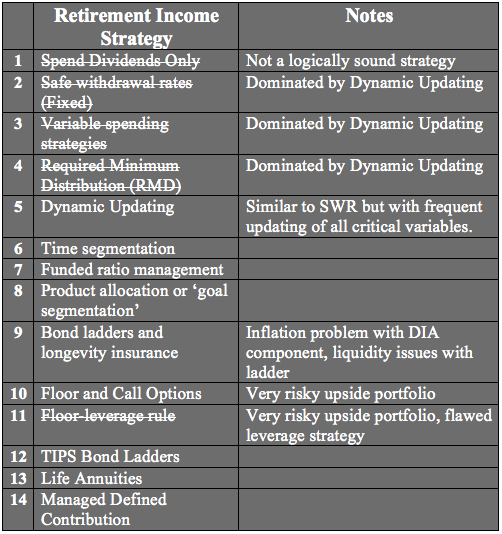 (See Unraveling Retirement Strategies: Time-Segmentation for a description of the strategy.) I have a tough time nailing down my feelings on this strategy and here's why. I looked at a Time Segmentation strategy portfolio next to a Sustainable Withdrawal Rates (SWR) strategy portfolio and I couldn't tell them apart. I pointed a bright light at the two of them and still couldn't see the difference. I put on stronger reading glasses than I normally wear and when that didn't help, I took off the glasses and squinted really hard. They still look a lot alike to me. The big idea behind Time Segmentation strategies (sometimes referred to as "bucket strategies") is that retirees who hold five years or so of expenses in cash may be less likely to panic-sell in a market downturn. It appears comforting to many retirees to know that, no matter how the market behaves, their living expenses are covered for the next five years. This is a behavioral strategy, not a financial one, and I will be the first to say that a strategy that lets retirees sleep at night has significant value, even if it isn't financially optimal. I did a web search and found that I wasn't the first to note that these strategies seem to be "twins separated at birth." Michael Kitces wrote about it back in 2011 in a column entitled, "Research Reveals Cash Reserve Strategies Don't Work… Unless You're A Good Market Timer?" 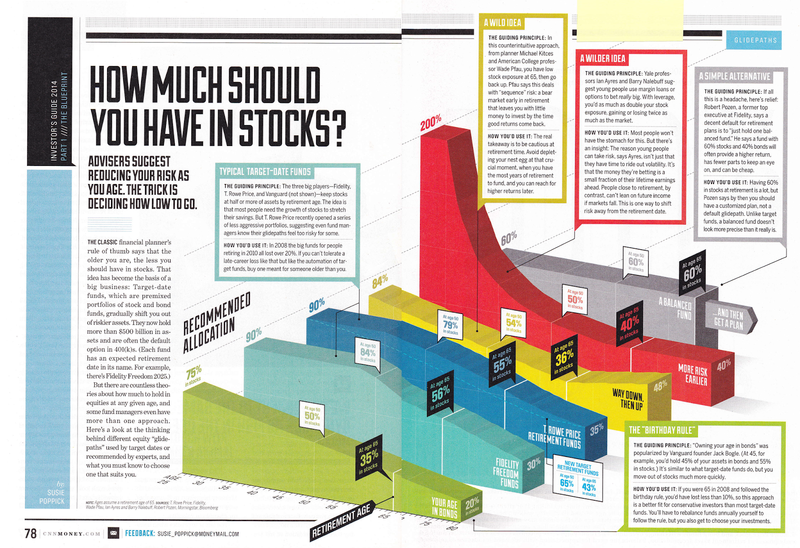 An SWR portfolio is most often organized into asset classes like stocks and bonds, and perhaps sub-classes like small cap stocks or short term bonds, but it could as easily be organized as a TS portfolio with cash categorized as assets meant to cover immediate spending, bonds categorized as assets meant for intermediate spending, and the remainder listed as stocks for long term spending. The following diagram provides an example of a portfolio organized as a SWR portfolio and the same assets organized as a TS portfolio. TS strategies also recommend spending first from cash, then from bonds, then from equities, but as the Kitces article explains, that is pretty much what happens when we rebalance a SWR portfolio. Rebalancing results in selling assets that have recently experienced the highest growth. If stock prices have fallen, rebalancing insures that it is other asset classes that will be sold. With rebalancing, stocks are sold after their price goes up, not down. TS strategies use cash for near-term expenses, bonds for intermediate spending and stocks for growth to cover more distant expenses in a form of duration-matching, though less exact. But, so does an SWR strategy, although the common view of an SWR portfolio doesn't typically categorize its assets in that way. 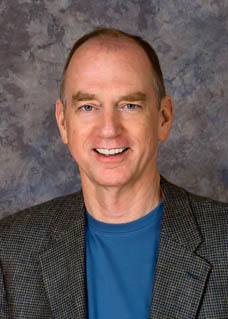 In a paper entitled, "Sustainable Withdrawal Rates: The Historical Evidence on Buffer Zone Strategies", authors Walter Woerheide and David Nanigan showed that the drag on portfolio returns from holding large amounts of cash can be significant. In other words, the comfort of a large cash bucket can come with a heavy cost. According to the authors, the performance drag imposed by a large cash bucket actually leaves the typical portfolio less sustainable. Large cash holdings mean lower expected portfolio returns, and lower expected returns mean a higher probability of ruin. As Kitces points out, a retiree with a 4% spending rate would need to hold nearly a sixth of her portfolio in cash to cover four years of spending and that has to be a drag on portfolio returns. Having lots of money, as usual, helps with this problem. With a low withdrawal rate in the 1.5% to 2% range, a retiree can set aside four years of spending and still have a reasonable cash allocation. The performance penalty only comes when withdrawal rates exceed these. It has also been argued that TS strategies reduce sequence of returns risk, but Moshe Milevsky showed in "Can Buckets Bail Out a Poor Sequence of Investment Returns?" that this strategy cannot always avoid sequence risk. When a retiree spends all his cash in a market downturn he can be left with an extremely risky all-equity portfolio, possibly before the bear market ends. You could turn most SWR portfolios into a Time Segmentation portfolio simply by over-allocating cash. But, Woerheide and Nanigan tell us that we would actually hurt portfolio sustainability, not improve it, due to the performance drag of a large cash bucket. Milevsky showed that we can't depend on cash buckets to avoid a poor sequence of returns. This leaves only the behavioral benefit of a Time Segmentation strategy to distinguish it, so it becomes more of a different perspective on a SWR strategy than a unique approach, to my thinking. If you have a lot of money and a low spending rate, you can hold a cash buffer that covers four or five years of spending without much damage to expected portfolio returns. The benefits will be largely psychological, but will have little or no financial cost. Retirees with a withdrawal rate of 3% or more may find the psychological benefits of this mental accounting worth the financial cost, but need to understand that it comes at a price. I'm crossing Time Segmentation off my list of sound retirement income strategies, not because it is flawed or dominated, but because I don't believe it is distinct enough from SWR strategies to warrant separate consideration. In the end, it is largely a SWR strategy with perhaps too large an allocation to cash for its own good. I believe Time Segmentation will provide a useful way for many retirees to view their finances, so just look at your portfolio from both perspectives. And, again, I don't want to minimize the value of making retirees comfortable, even if there are more efficient financial strategies. Over-withholding one's taxes, for example, isn't an efficient way to save money, but some people have trouble saving any other way. I think a sub-optimal strategy is better than no strategy. Or, as my friend Peter is fond of saying, bad breath is better than no breath at all. Please note the sidebar has been updated with a link to a recent New York Times column by Jeff Sommer on how often mutual fund managers beat the market. Retirement researchers Michael Kitces and Wade Pfau published papers on glide paths in the Journal of Financial Planning in 2014 and 2015, including Retirement Risk, Rising Equity Glide Paths, and Valuation-Based Asset Allocation, suggesting a rising glide path for retirees beginning with a low equity allocation early in retirement and rising throughout. Researcher David Blanchett has published contradicting studies that show better performance from declining equity glide paths throughout retirement, which has been the traditional recommendation, in Revisiting the Optimal Distribution Glide Path. As you can imagine, these conflicting recommendations have caused more than a little anxiety among advisers and do-it-yourselfers and experts like William Bernstein have even entered the discussion. Ultimately, the research has left some retirees asking whether they should follow a rising glide path or a declining glide path. Imagine two 90-year old retirees. Rising glide paths would suggest that they both hold large equity positions, while declining glide paths would suggest they both hold large bond positions. Now imagine that one still has tons of savings left, more floor income than she needs and is, as William Bernstein puts it, investing for her heirs. The other has barely enough wealth left to cover another five years of expenses. Should both invest with the same asset allocation because they are the same age? A similar argument can be made at any age and the correct answer is that we need to consider more than age or retirement date when determining our asset allocation. What would be the best asset allocation pattern for a retiree if we only knew that retiree's planned retirement date and nothing more? What glide path should be implemented by a target-date mutual fund that serves a broad target market of retirees who happen to share the same planned retirement date? As explained in Wade's post of March 2nd on RetirementResearcher.com, To Rise or Not to Rise, the authors are currently comparing notes to understand why their results differ. Initial thoughts are that the differences are explained by different capital market expectations. Both sets of expectations, or assumptions about future markets, are imperfect predictions and either (or neither) might turn out to be right. As Wade explains, "… The choice of glide path is not always fixed, as it does vary with the stock market valuation level at the time of retirement." So, which glide path is best if we ignore everything about a retiree except the planned retirement date? We're not sure, but the research does seem to show that it depends on stock market valuations and interest rate expectations at the time of retirement (no surprise). How does this information help the typical retiree invest her savings if she doesn't really care how the mechanisms of retirement funding work? It doesn't help much, in my opinion, at least not at this point. As Blanchett suggests, more research is needed. More importantly, this information won't apply to most advisers or do-it-yourselfers because they will be willing to do more work than to simply write down a planned retirement date. They can find a much better fit. We will not know in advance which glide path that retiree will end up following. It will be determined by a random walk through market returns, how long we live, our expenses, the decisions we make and many unpredictable factors. When this evidence conflicts, it gives us a chance to learn more. This research doesn't tell us that one glide path is better or worse — both sides make good arguments — but it begins to tell us under what conditions one glide path might perform better. That doesn't necessarily mean one is right and the other wrong or even that a well-planned retirement needs one. Please keep that in mind when you read academic papers. They are usually new evidence or new arguments and not universal truths that dispel old beliefs. What should a retiree do with this information about glide paths? Probably nothing. You should customize your asset allocation instead of following a glide path. There are a couple of interesting points you can use, however. First, it turns out that a 60% equity portfolio throughout retirement isn't a bad "couch potato" allocation. Second, as Wade points out, you might give more consideration to cash and short bonds than to intermediate bonds. "Another important point in that summary is that we did look at both short-term (6 month or 1 year) bonds as well as 10-year bonds in our analysis, and we found that the shorter-term bonds were of much greater help than longer-term bonds. When the focus is on protecting from downside risks, the additional volatility caused by the 10-year bonds hurt retirement outcomes by more than could be compensated by their higher average yields. This ties into David’s article as well, since his bond allocation was 75% to (I believe) 10-year bonds, and 25% to cash." This is an important point to remember when you think about taking on more risk to increase the return of the bond portion your retirement portfolio. Bonds and cash are there to protect against downside risk, not to maximize portfolio return. You can also just follow the ongoing research. I find the discussion quite enjoyable. It's a work in progress.